At I-FEEDER, our commitment to superior service, relentless innovation and client success is at the forefront of everything we do. The client comes first. I-FEEDER was born out of passion. The passion to be the best at giving the consumer what they require. Making sure the synergy is not only with the demand side of the business, but also the supply. It is also a strong commitment to service while still sustaining a high level of environmentally responsible, sustainable and high quality products which sets us apart. new product lines. Designed in a way where old meets new. Ensuring your investments stay current long after purchase. 30+ years of expertise allows us to ensure we supply the correct information and product in a timeous and thorough manner. Making sure the correct system is specced, paid for and supplied. I-Feeder has always provided cost-effective solutions to meet the technological requirements of our customers. Our prices are tailored for growth and invesment. Our relationship with our customers doesn’t stop once our products have been supplied. Available via whatsapp, email or a phone call, we will assist in any manner we can. Implementing new ideas and developing new technologies is more than our expertise – it’s our passion. Represented by companies with the same philosophy as I-Feeder across Southern Africa, Africa and Europe, we ensure that the company mission is shared by all role-players. We do not just partner with any company. We have strict guidelines to ensure that the user is always number one. At I-Feeder, we offer a wide variety of standard equipment to solve the various application requirements of today’s manufacturers. We also have a proven track record of designing components and systems for a wide spectrum of applications. No matter the scope of the project, we are well equipped to accommodate changes smoothly. In fact, implementing new ideas and developing new technologies is our expertise. 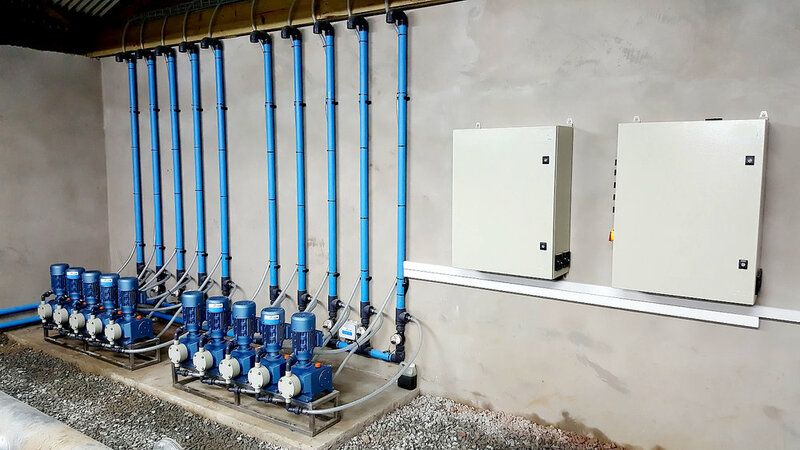 I-Feeder has grown from a small company supplying the agricultural market in the Southern most tip of Africa to one of the biggest role players in Africa and the Middle East where it comes to the supply of dosing systems. Currently establishing a footprint in Europe and Asia, with involvement in projects as far afield as Iraq and England. To ensure our clients are serviced on the level they clearly deserve, the company will be opening offices in the UAE. Ensuring stock and expertise is on close call.